An innovative gel that, thanks to its active ingredients, reduces the appearance of leg varicose, and helps ease the discomfort and tiredness caused by malfunctioning micro-circulation. 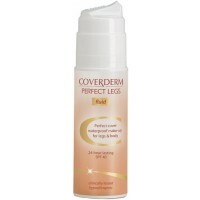 Coverderm Vanish Jambes is a light-textured gel, specially formulated with MDI Complex, Fucoidan, Escin, Caffeine in liposome form, Brown Algae and Horse Chestnut Extract to dramatically improve the appearance of leg varicose (spider veins). Up to 26% reduction in the appearance of leg varicose (spider veins)*. 80% volunteers with reduction in the appearance of leg varicose (spider veins)*. 60% volunteers with improvement on colour of leg varicose (spider veins)*. 50% volunteers with reduction of the size of capillaries *. *Clinical studies conducted by the Department of Medicine of the University of Pavia, Italy. Duration of treatment period when used twice daily for 90(*) days. 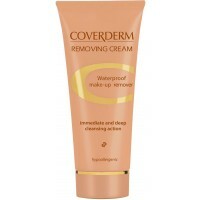 provides a protective "net" against the degradation of the connective tissue surrounding the microcapillaries. 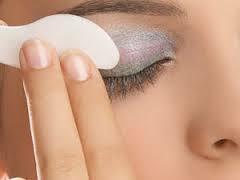 MDI Complex - The first cosmetic ingredient produced out of pure biotechnology research. Extensively tested in the laboratory and in clinical studies, it proved its efficacy as a potent molecular complex to dramatically improve the effects caused by circulatory disturbances of the skin. MDI Complex is a marine-derived active ingredient which belongs to the recently developed group of biotechnological molecules called matrix metalloproteinase inhibitors (MMPIs). Fucoidan, Escin, Caffeine - The most powerful combination of Fucoidan, Escin, Caffeine in liposome form. Protects the integrity of micro-capillaries, strengthens the weak veins and improves micro-circulation. Liposome form secures increased bioavailability through deep penetration in the skin. 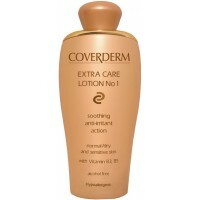 Apply twice daily and massage in slow, circular movements, focusing on the problematic areas of the legs.